The Celtic knots, also called Icovellavna, are a variety of knots and stylized graphical representations of knot patterns, used for decoration and spiritual purposes since antiquity. Interestingly, various developments in the artistic use of interlaced knot patterns are found in Roman & Byzantine architecture and book illumination, Coptic art, Celtic art, Islamic art, Medieval Russian book illumination, Ethiopian art, and modern European artworks. A Celtic knot can be seen as a Celtic Sigil. The Knot Magic, is a very ancient form of Witchcraft associated with the Element of Air .The Knot represents the continuity, the endless flow of energy. As we can never find a beginning and the end of a knot, Celtic Knots represent the ultimate Magical Knowledge: Past, Present and Future is one, it’s all now! It’s all about perception. What we perceive as the past, exists only in our minds as a symbol. This is why the Celtic Knots can also be viewed as Mandalas, the Hindu and Buddhist “version” of Celtic Knots. There is great potential within you. Your roots are deep in the Earth and you want solid foundations in your life. Grounding will be beneficial for you. The more you draw energy from the Earth, the more attuned you are with the World around you, and the more alive you will feel. (Click here to learn more about Grounding and how to do it). Take good care of your spine and you waist. Connect with nature and always remember the saying “as above, so below!”. 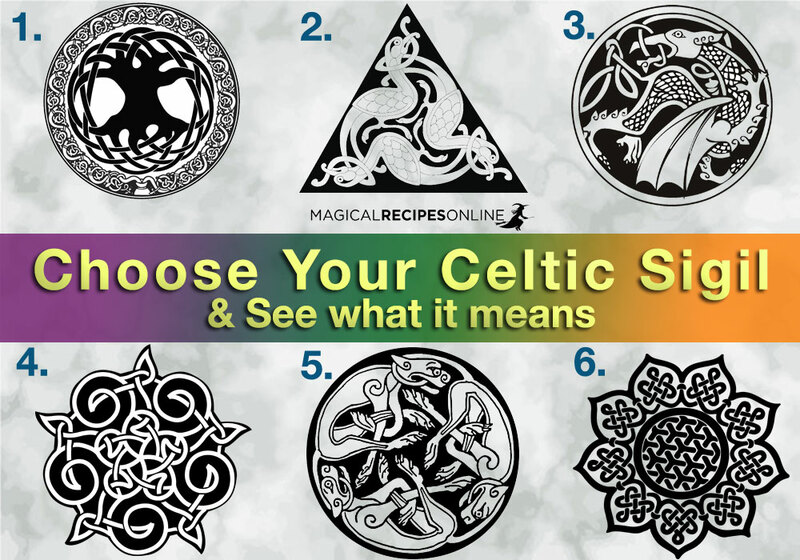 You chose the celtic knot which represents Fire and the Phoenix, the sacred bird of Fire (click here to read more about the Phoenix). You are a very ambitious person, full of energy and passion. Fire burns within you brightly however, as every fiery person should know, don”t overfuel your fire as it will burn quickly. Instead, fuel it gradually and you will see great benefits with your life. The more you express your passion and creativity, the more fulfilled you will feel in your life. The Spirit of Earth speaks to you with a clear voice through this Celtic Sigil. Be one with all Nature, and the world, within and without. The power you hold is immeasurable and it can bring great joy to your life and the life of others. When you realise that true strength lies within you, and it comes naturally, the more you will feel ready to change the things that you do not like. The Great Dragon, speaks of connection with Nature and our Natural environment. You should spend more time in Nature which will help you cultivate your power in a more robust way. 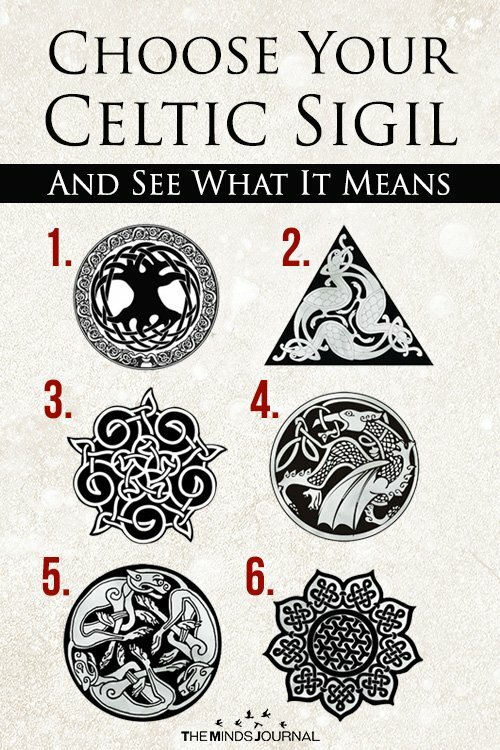 If you chose this Celtic Sigil in fact you chose the great symbol of Protection and personal power, the Pentacle. It is time you balance your life, both the spiritual and the physical self need to become united. You will feel the benefits of any protective magical practices, and at the same time all magic that will help you realize your true potential as a witch or life. You sign like a star, so the world, the brightness and the warmth of your heart. Liver detoxification may work miracles for you. 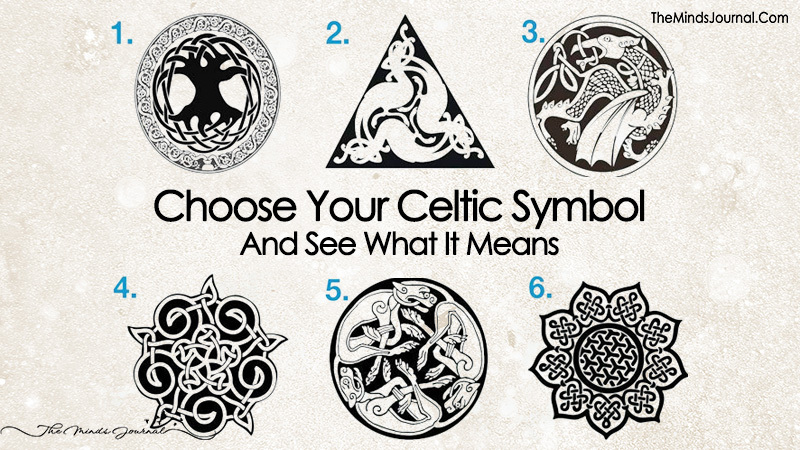 If you chose this Celtic Sigil you work with a sense of speed and agility. You are a flexible person, yet at the same time you do not want to be disturbed by external influences which may become nuisances. You have the great ability, to know your path, even though you cannot see it. You enjoy feeling protected and cared for. Your heart is an open book. You radiate a warm and friendly energy. Caring for others, and being a supportive figure for everyone. There is magic within you and you do not have to try to bring to it forward. Feeling relaxed is the key to your success. Follow the Sun, and you will never lose your way.